Located off the Northwest Loop 410, San Antonio, TX., this 12,021 Sq. Ft. single story structure, with easy access / high visibility and convenient ground level parking in a high growth area. 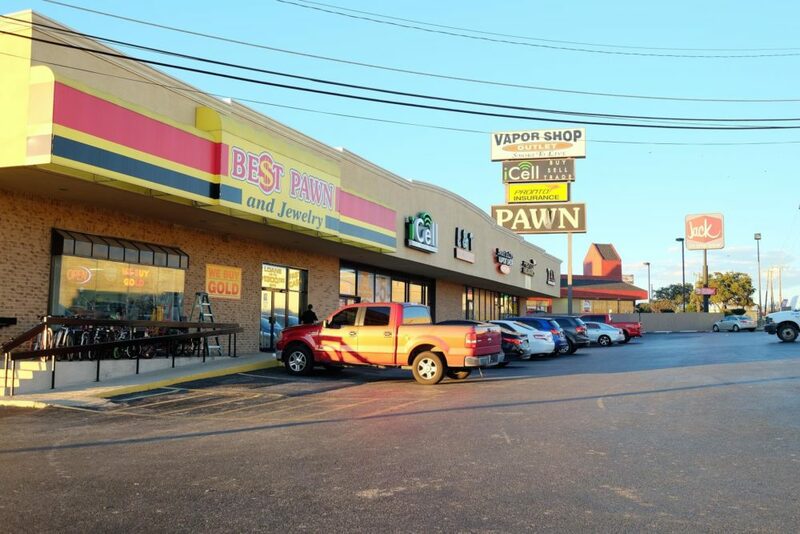 Tenants include: Best Pawn and Jewelry, L & T Body Wrap Fitness, i Cell, Smoke To Live Vapor Shop, Quick Money Tax Service and Insurance Services.